Over 40,000 organizations are running Microsoft Dynamics CRM today. Although these Microsoft Dynamics CRM customers can continue to renew and add users to their original CRM application today, eventually most organizations will need to upgrade to the newer, cloud-based version: Microsoft Dynamics 365 for Customer Engagement (CE). Dynamics 365 is a cloud-based unified business application platform that manages the front-office CRM (sales, marketing, service) and back-office ERP (financials, operations). Applications can be purchased individually – or as a bundled license. Specifically, Dynamics 365 for Customer Engagement helps to manage, improve and support the sales cycle from beginning to end. 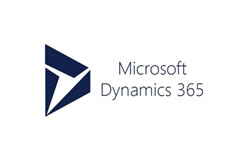 What’s the difference between Dynamics CRM and D365 for Customer Engagement? The core functions of these systems are similar, but Dynamics 365 for Customer Engagement is segmented into multiple applications for ease-of-use and increased functionality. These applications include Sales, Customer Service, Field Service, Project Service and Marketing. With these applications, Dynamics 365 for CE has added functionality on top of what was available in the original CRM application, and Microsoft will primarily focus on further developing Dynamics 365 moving forward (not CRM). Why Upgrade to Dynamics 365 for Customer Engagement? Dynamics 365 for Marketing, which integrates the Adobe Marketing Cloud. This list of feature enhancements will continually grow and improve. Starting in 2019, Microsoft has committed to rolling out enhancements monthly. If you want to get the most out of the new features added, you’ll want to switch sooner rather than later. Creating an improved customer experience is driving digital transformation. Customers’ expectations continue to rise, wanting faster delivery, more customization options, and transparent communications. Dynamics 365 for Customer Engagement gives you the business applications to execute on your promises. Dynamics 365 for Marketing allows users to create and nurture leads across multiple channels. You can prioritize those leads and automate the hand-off to Sales, while tracking the progress with connected processes. Dynamics 365 for Sales helps users turns those leads into relationships, and those relationships into revenue. Sales people are empowered with actionable insights during every phase of the sales journey. Dynamics 365 for Customer Service provides the opportunity to earn customers for life. With built in intelligence, sellers can deliver faster, provide personalized service, and add value to every interaction, even on the go. Dynamics 365 for Project Service allows users to profit from their projects. With this application, users will plan and deliver successful projects using a predictable customer-centric delivery model. Dynamics 365 for Field Service assists organizations with optimizing their resources. Users automate and improve scheduling to dispatch the right technician with the right information. Customers can also be engaged as they track technicians and ensure a positive experience. Before your next renewal date, contact us to explore your upgrade options. If you’re using Dynamics CRM online today, the transition will happen automatically, but the licensing may be different. For on-premise CRM users, you can stay where you are or move to Dynamics 365 for Customer Engagement. We’ll help you understand all your options, so you can decide what’s right for your company.